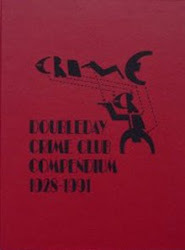 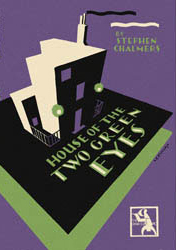 The Crime Club was an imprint of Doubleday, and was most famous for publishing the books of Leslie Charteris and The Saint in the USA. 1928: The first year of The Crime Club was 1928, and the series kicked off with The Desert Moon Mystery by Kay Cleaver Strahan as the inaugural edition on April 1st, 1928. 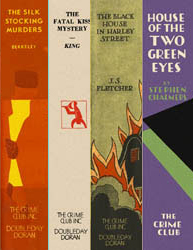 The premiere year continued with a number of great titles, featuring 27 titles in total by 9 American authors by the end of December. 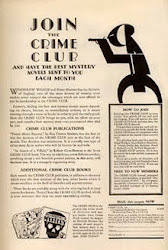 Mastermind tells how The Crime Club operates!